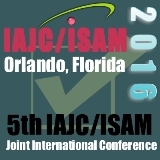 The IAJC Conference is intended as a meeting point to discuss advances and collaborations in engineering, technology in education, manufacturing and industrial technology, information technology, computer science, and business. Many of these fields are facing significant changes and will encompass knowledge, information, and data from related fields of study. Thus, works from all of these fields will be considered for presentation and publication. Paper submissions must meet the IAJC guidelines posted in the Author’s Kit link on this Web site. Author should use our automated system to submit their abstract and full papers.Additional questions should be directed to: Philip D. Weinsier. Abstract Submission. Abstracts must be 300 words or fewer (using Microsoft Word, in English), and should be sent to our automated system. The deadline for submitting abstracts is March 16, 2018. Abstract Acceptance Notification. All submitted abstracts will be reviewed by the IAJC Conference Committee. Participants will be notified by email within two to three weeks of submitting their abstract. Full Paper Submission. Authors must submit their full manuscripts to the automated system by April 20, 2018. Full papers should be formatted according to the specifications on the Author’s Kit Web page. All presentations must be in English. Full Paper Acceptance. All submitted full papers will be blind peer-reviewed by the IAJC International Review Board and Conference Committee. Final Camera-Ready Paper Submission Deadline. All final papers must be submitted by July 18, 2018.